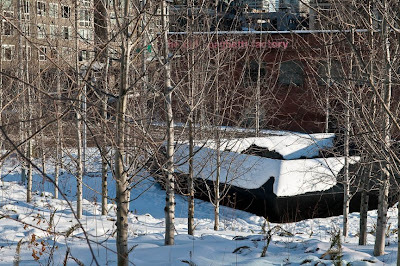 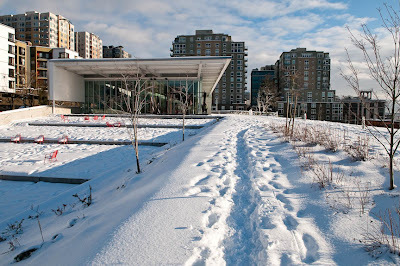 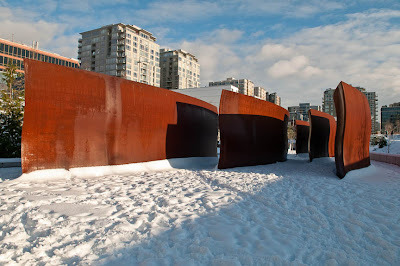 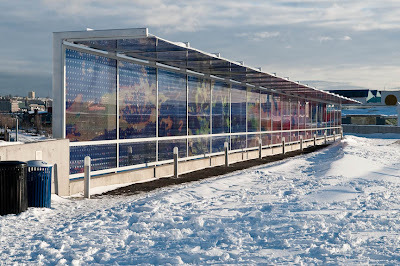 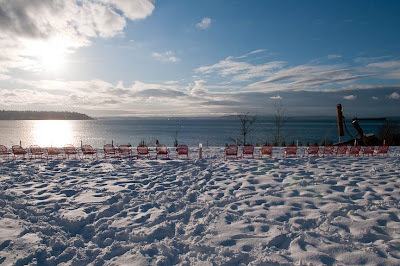 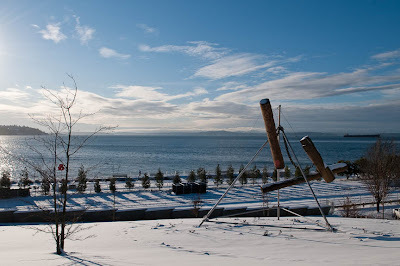 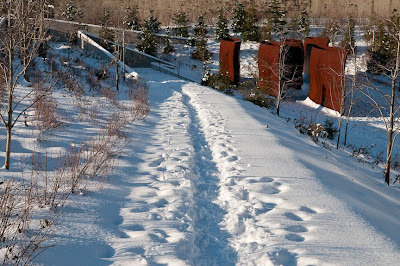 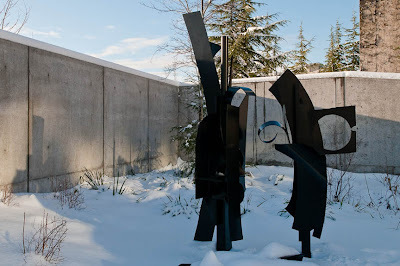 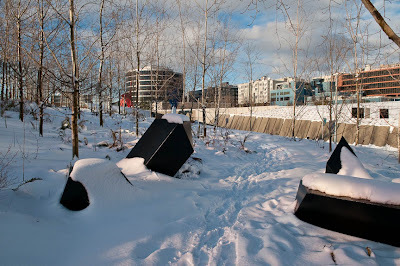 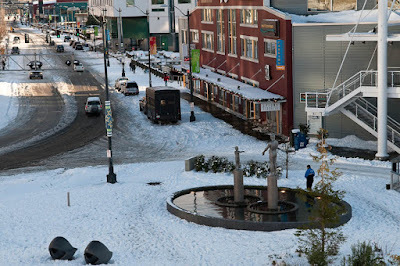 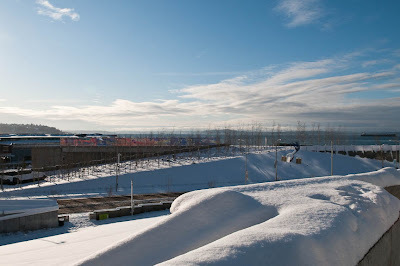 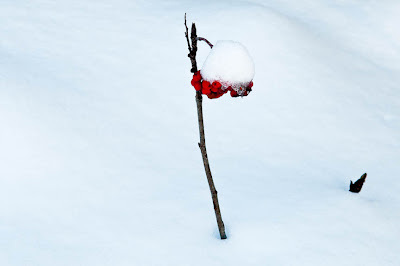 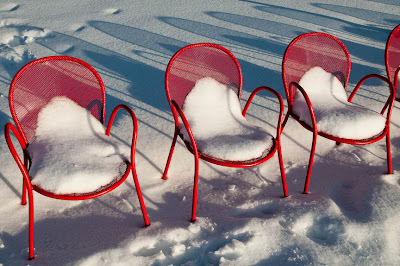 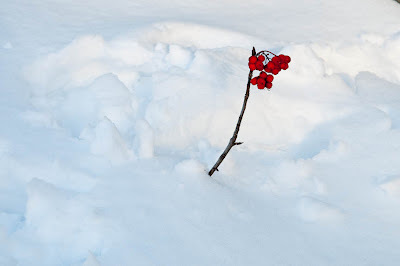 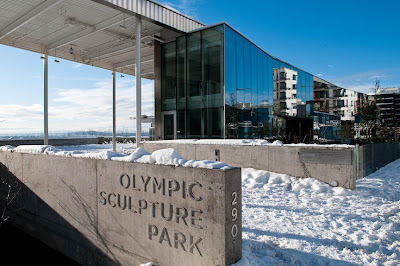 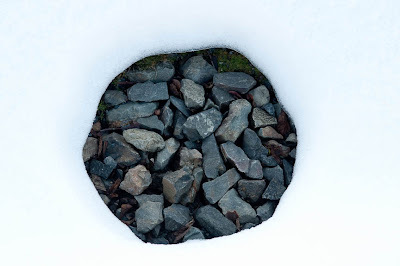 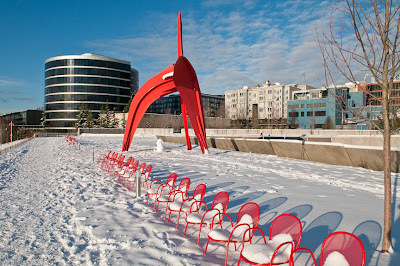 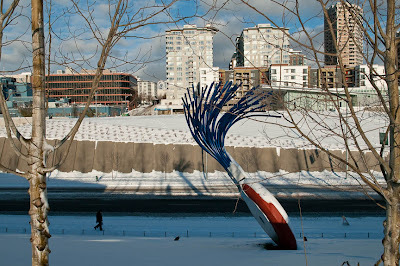 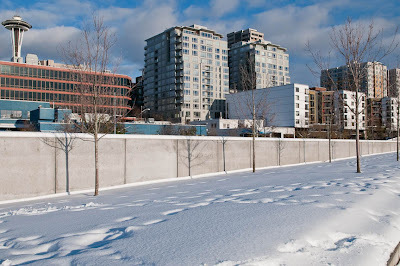 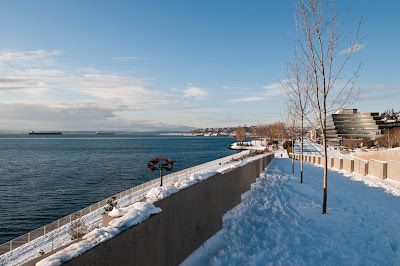 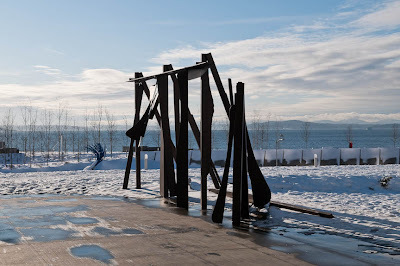 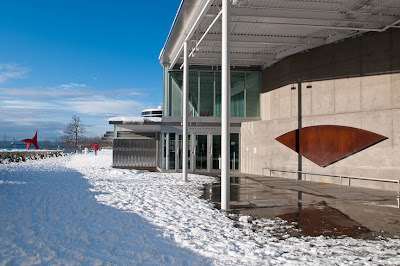 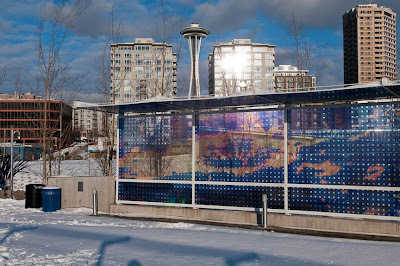 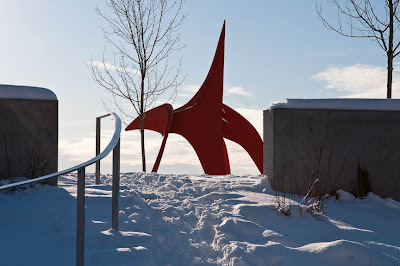 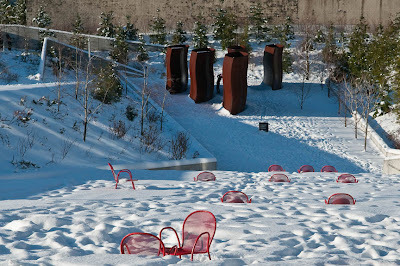 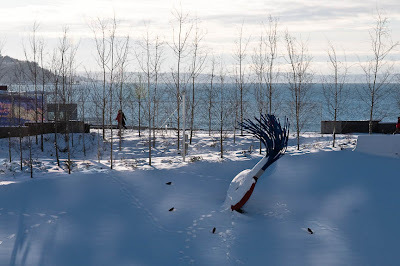 On December 22, 2008, after several days of accumulation of the most significant Seattle snowfall in many years, I took a walk through the Olympic Sculpture Park. 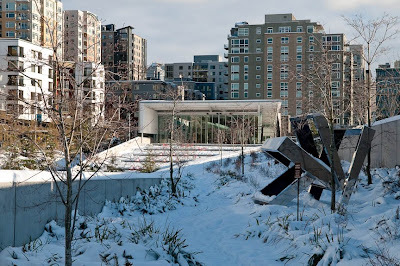 The park is one of three sites of the Seattle Art Museum. 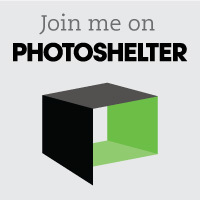 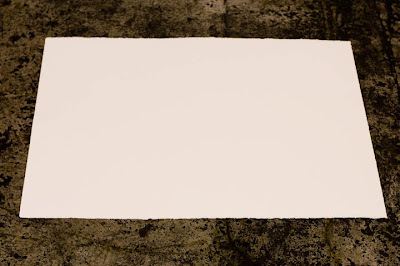 Click on any image for a larger version. 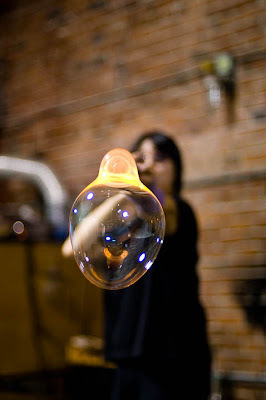 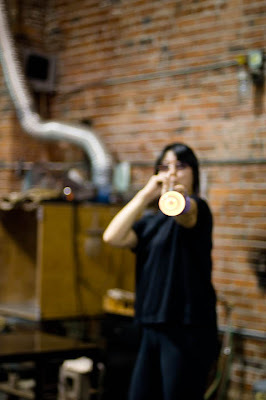 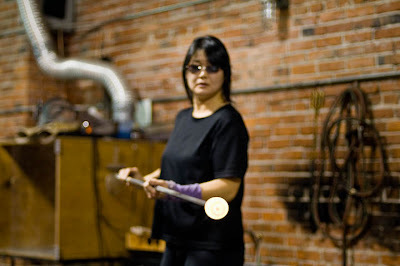 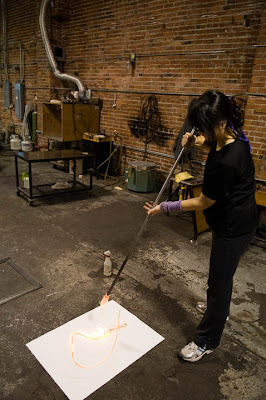 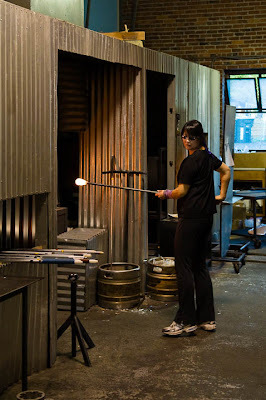 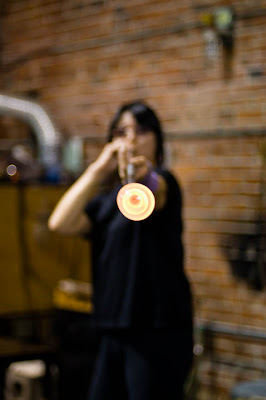 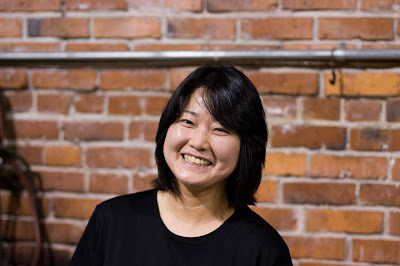 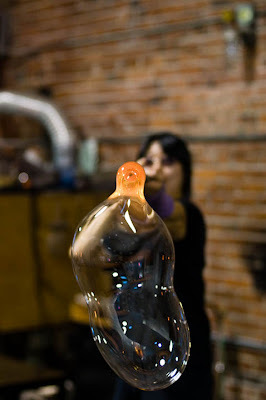 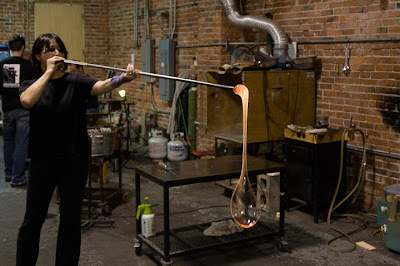 Etsuko Ichikawa is a Seattle-based artist. 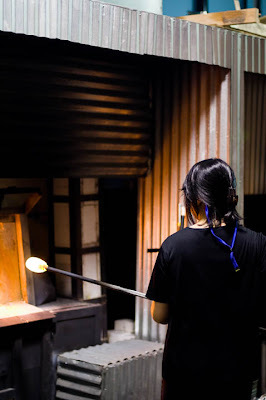 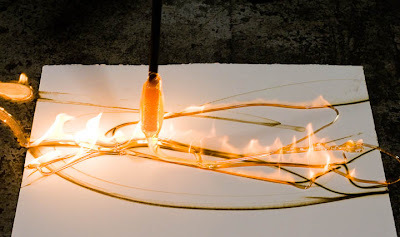 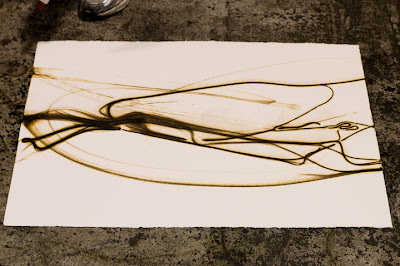 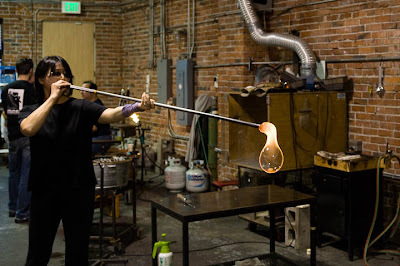 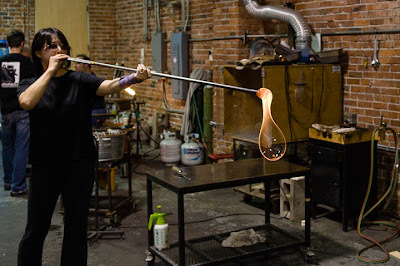 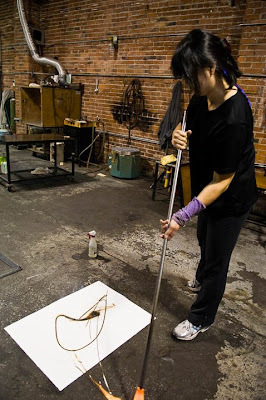 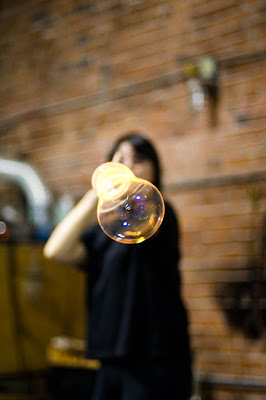 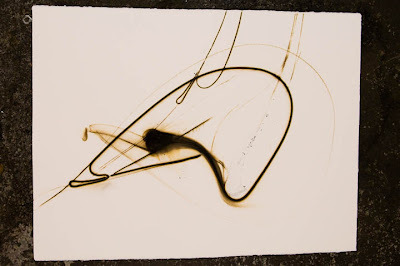 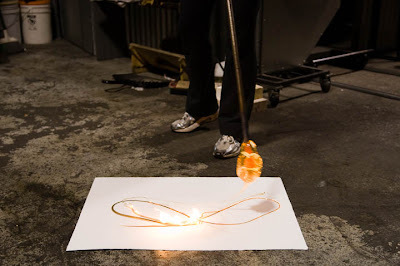 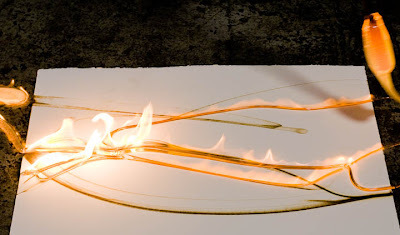 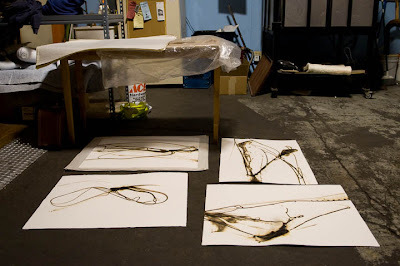 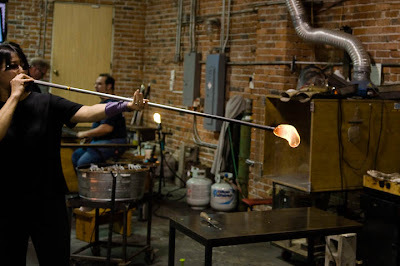 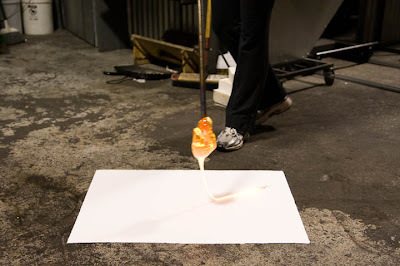 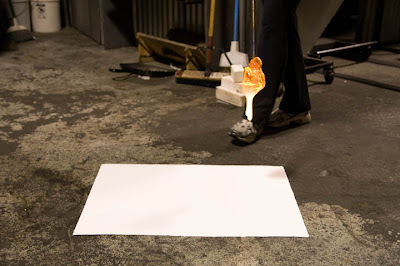 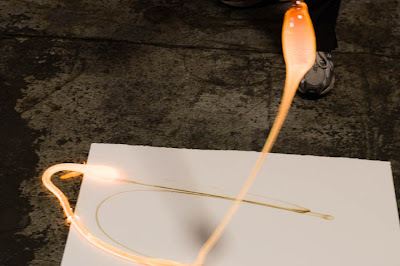 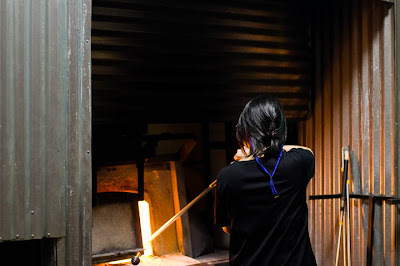 On November 17, 2008, I met her at Viscosity Glass, in Seattle, to photograph her process and to document the creation of glass pyrographs.